!! Valentines special – FREE photo package PLUS $20 voucher towards your refreshments at the island !! Quote this when booking!!! 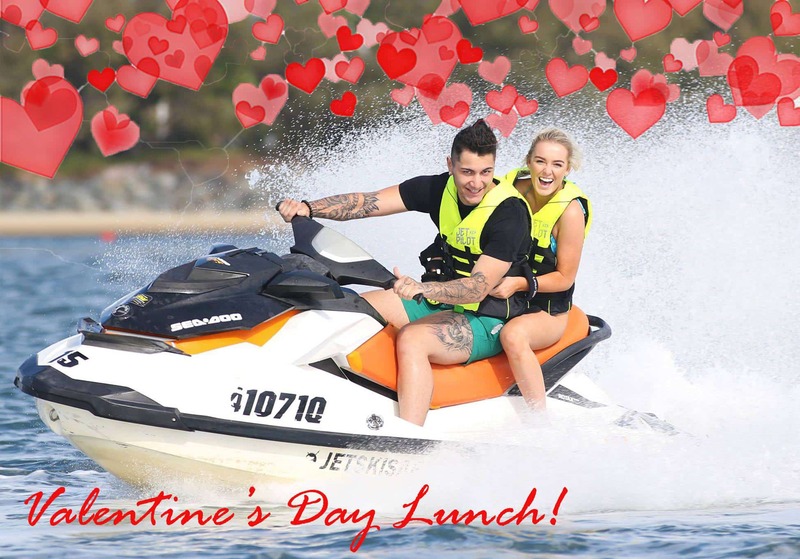 Treat your loved one and start your day the best way possible, with an adrenaline filled jet ski ride to build up your appetite before a lunch stop in paradise!